When I was very young, my meditations made me soar so high that I was afraid of falling from the heights and felt anxious. In those moments, the most gentle and angelic female presence firmly held me from behind and guided my flights over celestial regions like a mother showing a child how to ride a bicycle. It happened often. Who was this motherly angel who manifested in my meditations to protect me from fears? Who was this divine being that embraced me with such tenderness and silently guided and navigated the path? Although I practiced yoga since childhood, I had never formally worshipped any form of the Devi (Goddess). But probably the mantras I practiced evoked Her. Or perhaps the Goddess as the Divine Mother does not require an invitation to come. This went on for many years. She was my guardian angel. Where she came from, I don’t know. Yet, she was always there in my meditation in the background and when needed would manifest to silently reassure me. I would momentarily see her hazy form but never saw Her clearly. She held me tightly and firmly from the back when needed as I flew over the unknown realms. The Goddess made HerSelf very real to me. She always seemed to be around, especially in contemplative and meditative states. Her form was that of a gentle motherly presence. It was absolutely unmistakable. Whenever she came, I knew it instantly just like a newborn knows his mother by smell. Her presence was the most reassuring and made me feel that everything would be okay and go smoothly now. As time went by and I got older, I felt her less and less often. It happened gradually. She seemed to have receded somewhere in the background of my mind. Perhaps I had spiritually matured in some ways and did not need Her anymore. I don’t know the psychology of it. Still, I did not forget Her. Who was she and where had she gone? I thought at times. Many many years passed in meditation and in life. I was much older now. I was 39. One midnight, I lay down for meditation. Without warning, suddenly, the Goddess appeared in full bloom right before me! For the first time, I saw Her with the utmost clarity. She was the epitome of purity and innocence and the very essence of beauty. Her Being radiated bright blessings. Speechless, I gazed at Her face and spontaneously folded my hands in “Namaste” with reverence and bowed slightly. 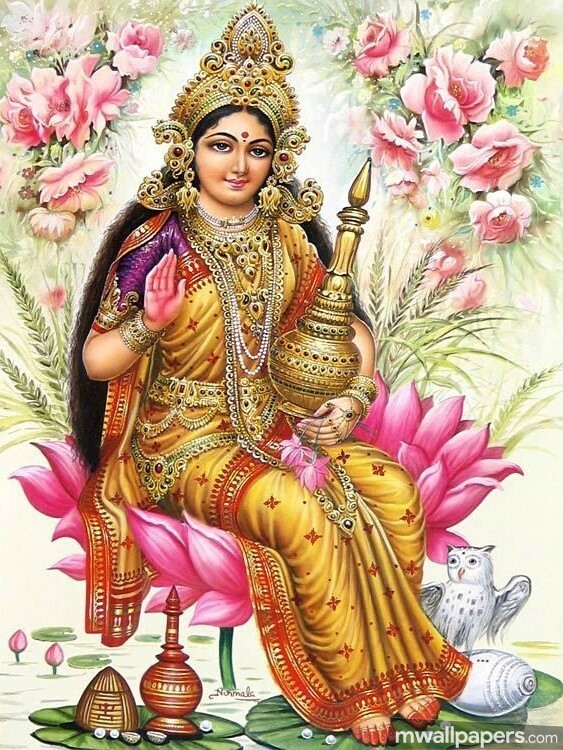 Through Her eternal and watchful eyes that see into the Heart, the Supreme Goddess looked at me intently with the utmost tenderness and smiled sweetly. Then she disappeared. The Goddess did not look like any of the pictures that artists have drawn and are found in Hinduism. I have chosen to describe Her by accurately stating, “She was the epitome of purity and innocence and the very essence of beauty.” Those words are the truth.